Ben’s expertise is primarily in high-value, complex matrimonial finances cases, particularly those involving an international element. Ben also has a wealth of experience in private law children disputes with particular experience in cases of international and domestic relocation and cases concerning serious allegations of physical, sexual or emotional abuse of children. Ben is widely considered to give direct advice in an approachable fashion. He is known for being well prepared and is particularly adept in handling cases with complex legal issues or where robust cross-examination is required. Prior to joining FOURTEEN, Ben had a successful practice in the North East of England and retains strong links there. 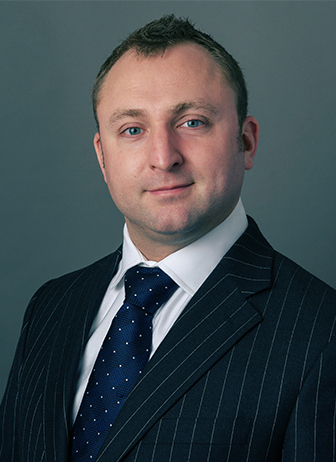 Ben has acted for clients in proceedings in all levels of court, up to and including the Supreme Court. Ben regularly undertakes private law Children Act work and specialises in cases involving internal and international relocation and those which involve very serious allegations against a parent. Ben also deals with international child abduction cases under the 1980 and 1996 Hague Conventions and Brussels IIR. Ben has experience of cases involving parental alienation, implacable hostility, sexual abuse of children, serious accidental and non-accidental injuries to children, all forms of domestic abuse and cases involving fabricated or induced illness, hypochondriasis, shaken children and cases involving the deliberate death of children and other adults. Successful appeal considering (1) the interplay between public law and private law proceedings where the State seeks to intervene in the placement of a child; (2) a reconsideration of the balancing exercise where the mother is able to provide “good enough” care but the grandmother is able to provide better care; and (3) the balancing exercise for purposeful delay for further assessment of a parent. Ben’s practice encompasses complicated and high net worth finance cases, particularly cases involving offshore assets, detailed company accounts, nuptial agreements, third party resources and trusts and cases involving concealed or dissipated assets. He regularly advises in relation to pre-nuptial agreements. Ben has experience of Hemain injunctions, domestic and international freezing orders and applications for financial relief after an overseas divorce under Part III MFPA ’84. Ben is regularly instructed in relation to cohabitation disputes under TOLATA (both as freestanding civil applications and as an intervener within financial remedy proceedings) and under Schedule 1 of the Children Act 1989. Ben has a particular specialty in enforcement proceedings involving other jurisdictions and regularly undertakes Reciprocal Enforcement of Maintenance Order (REMO) cases including those under MO(RE)A 1972, the EU Maintenance Regulation, MOA 1950, the 2007 Hague Convention, the Lugano Convention 2007, MO(FE)A 1920 and the Administration of Justice Act 1920. Moylan J considers the interaction of English public law proceedings and ‘trumping orders’ under Article 11(8) of the 1980 Hague Convention.